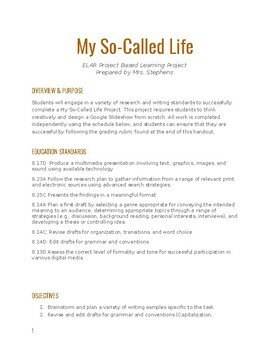 My So-Called Life is a fun and creative way for student's to work on their research, writing, and media literacy skills. Let your students think outside of the box to create their dream life. 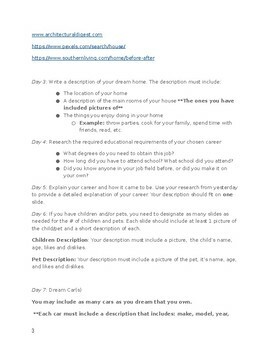 Students are asked to complete a variety of writing tasks about their dream home, career, children, pets, cars, etc. 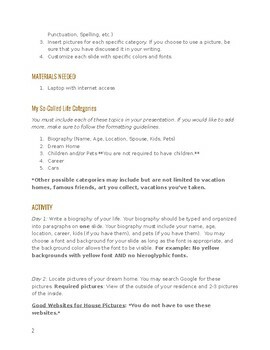 This is a perfect end of the year project or after state-testing activity. 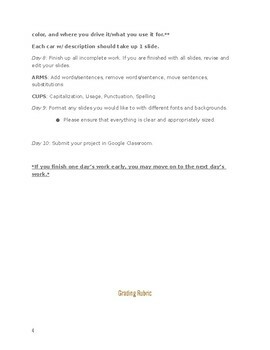 All work can be completed digitally, and this product includes a grading rubric to ensure student success. This product is aligned to the 8th grade TEKS, but it could be modified to fit any grade level standards.